In Stock: ONLY FOUR!! (Email me for availability)!! The 33d Rescue Squadron is part of the 18th Wing at Kadena Air Base, Japan. It operates Sikorsky HH-60 Pave Hawk aircraft conducting search and rescue missions. The squadron was established when the 2d Air Rescue Squadron was expanded to Group status in 1952. Since that time, it has carried out air rescue duties with fixed wing aircraft until 1952, and thereafter with both fixed wing aircraft and helicopters. It has been stationed almost continuously in Okinawa since the 1950s. This is the "green-white" version of the squadron "SHIELD". I found this patch in a Korean embroidery shop, it has the "theater-made" feel with the 'cut' edge, and does not have velcro attached. 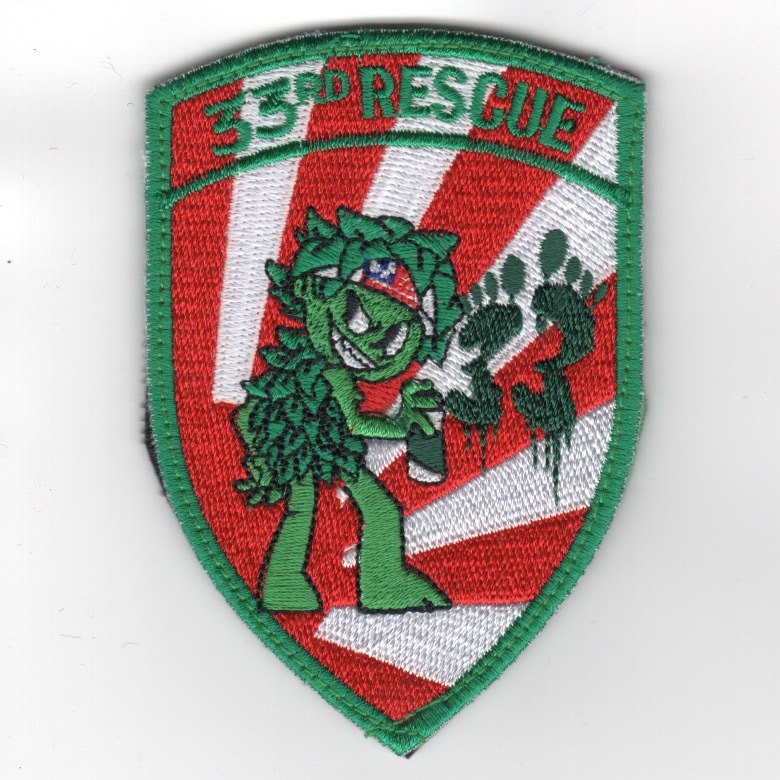 Only have FOUR of these "theater-made" patches, not your 'normal' rescue patch, so email me to check availability!! The 33d Rescue Squadron is part of the 18th Wing at Kadena Air Base, Japan. It operates Sikorsky HH-60 Pave Hawk aircraft conducting search and rescue missions. The squadron was established when the 2d Air Rescue Squadron was expanded to Group status in 1952. Since that time, it has carried out air rescue duties with fixed wing aircraft until 1952, and thereafter with both fixed wing aircraft and helicopters. It has been stationed almost continuously in Okinawa since the 1950s. This is the "red-white sunrays" version of the squadron "SHIELD" and I call the character an "Evil Jolly" as he's spray-painting green footprints. I found this patch in a Korean embroidery shop, it has the "theater-made" feel with the 'cut' edge, and does have velcro attached. The 33d Rescue Squadron is part of the 18th Wing at Kadena Air Base, Japan. It operates Sikorsky HH-60 Pave Hawk aircraft conducting search and rescue missions. The squadron was established when the 2d Air Rescue Squadron was expanded to Group status in 1952. Since that time, it has carried out air rescue duties with fixed wing aircraft until 1952, and thereafter with both fixed wing aircraft and helicopters. It has been stationed almost continuously in Okinawa since the 1950s. 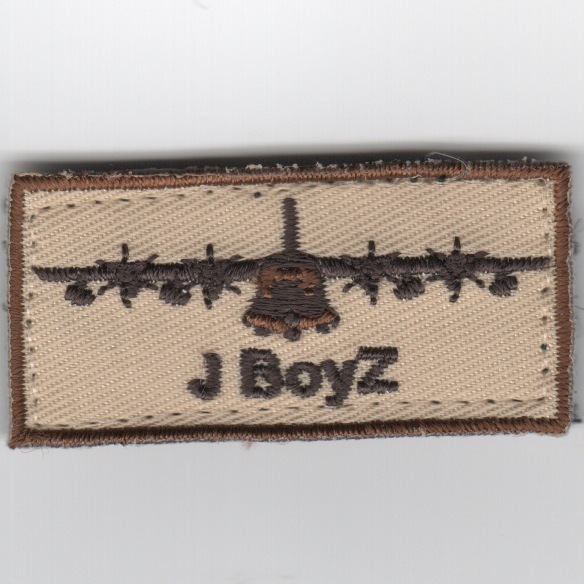 This is the "subdued/OCP" version of the squadron patch found in a Korean embroidery shop. It has the "theater-made" feel with the 'cut' edge, and does not have velcro attached. 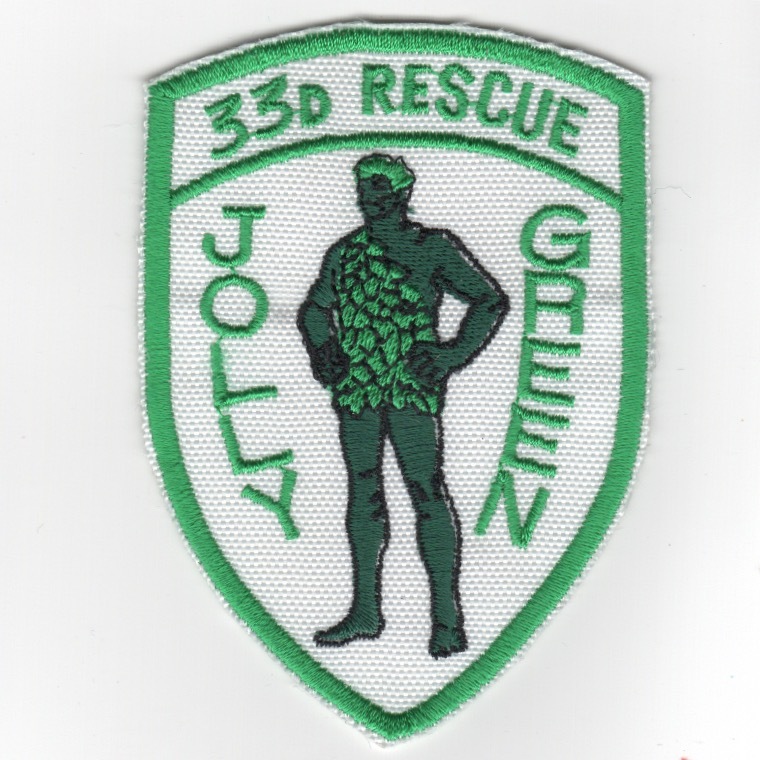 This is the color version of the squadron patch for the 36th Rescue Flight. The 56th Rescue Squadron is part of the 31st Fighter Wing, Aviano Air Base, Italy. The squadron was previously assigned to the 48th Fighter Wing at RAF Lakenheath, England. It operates HH-60G Pave Hawk helicopters conducting search and rescue missions. 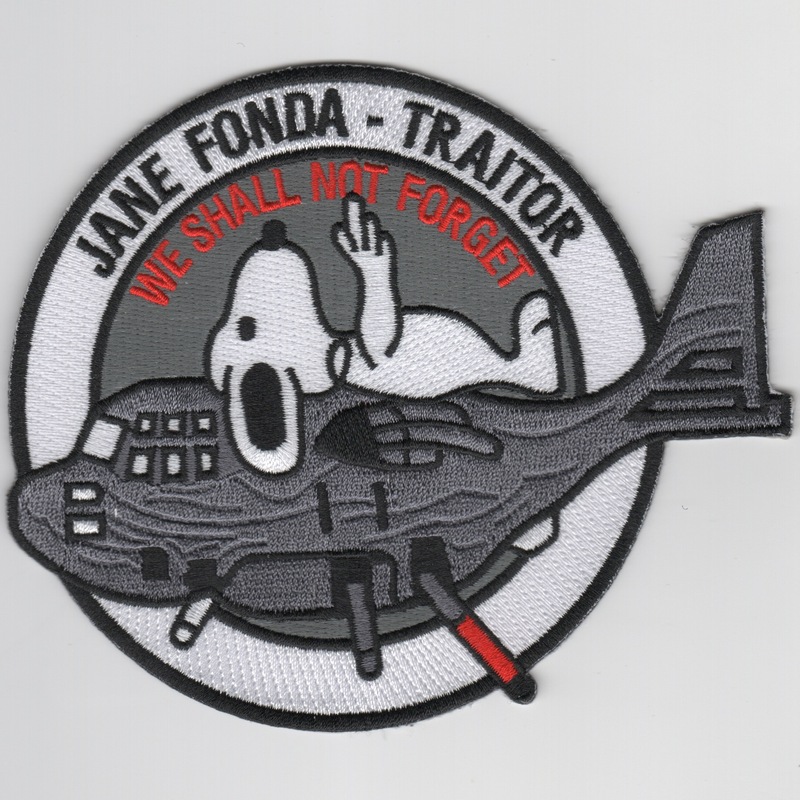 This is the Gray/Black version of their squadron patch and does NOT come with velcro attached. 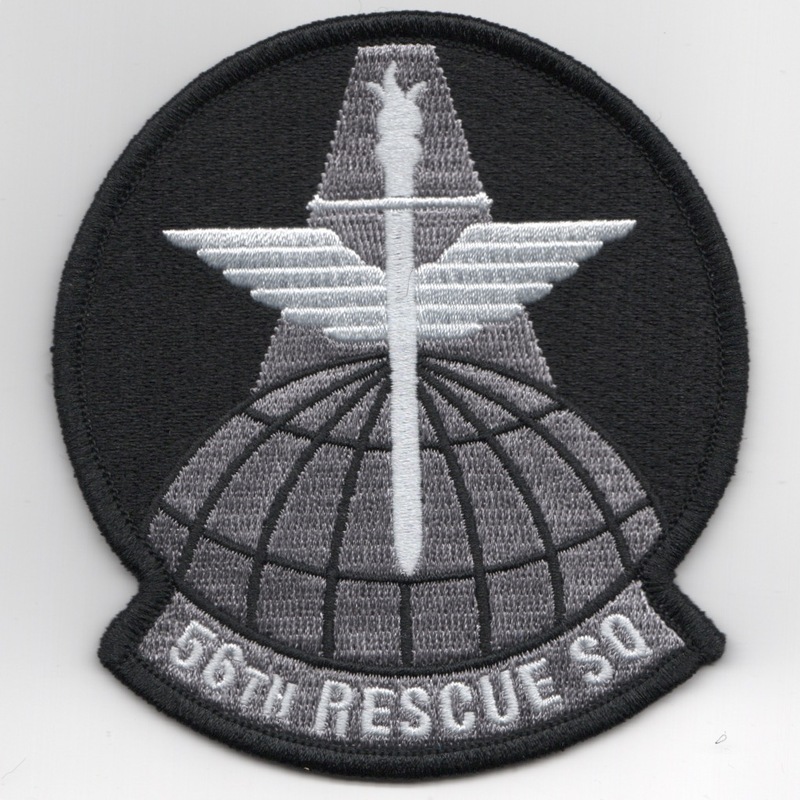 This is the color version of the FRIDAY squadron patch for the 66th Rescue Squadron. 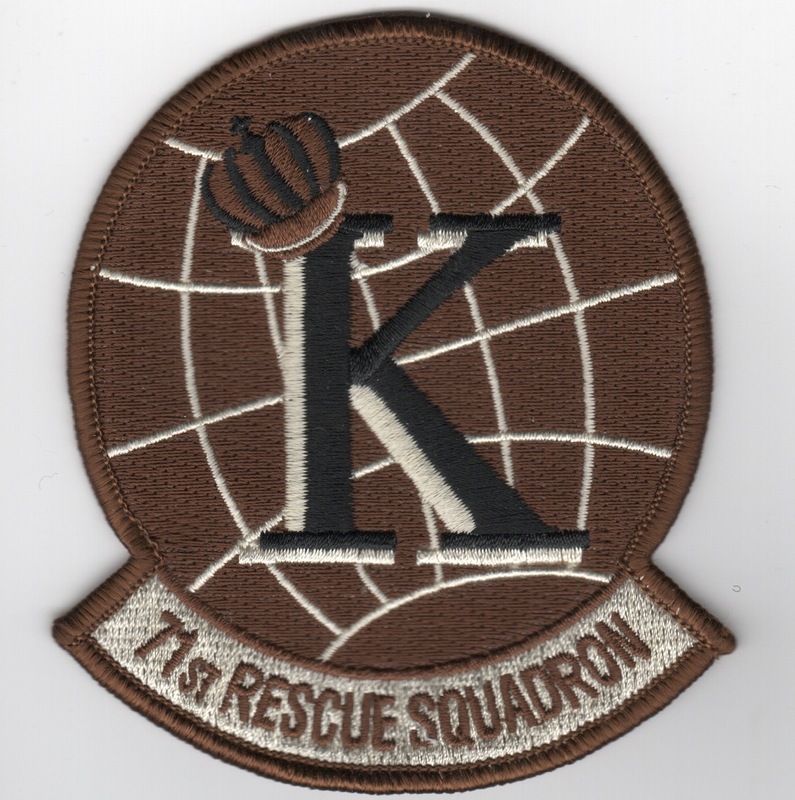 This is the desert version of the 71st Rescue Squadron patch. They fly the HC-130 out of Moody AFB, GA. This patch does NOT come with velcro attached. This is the yellow version of the deployment patch for the 71st Rescue Squadron. 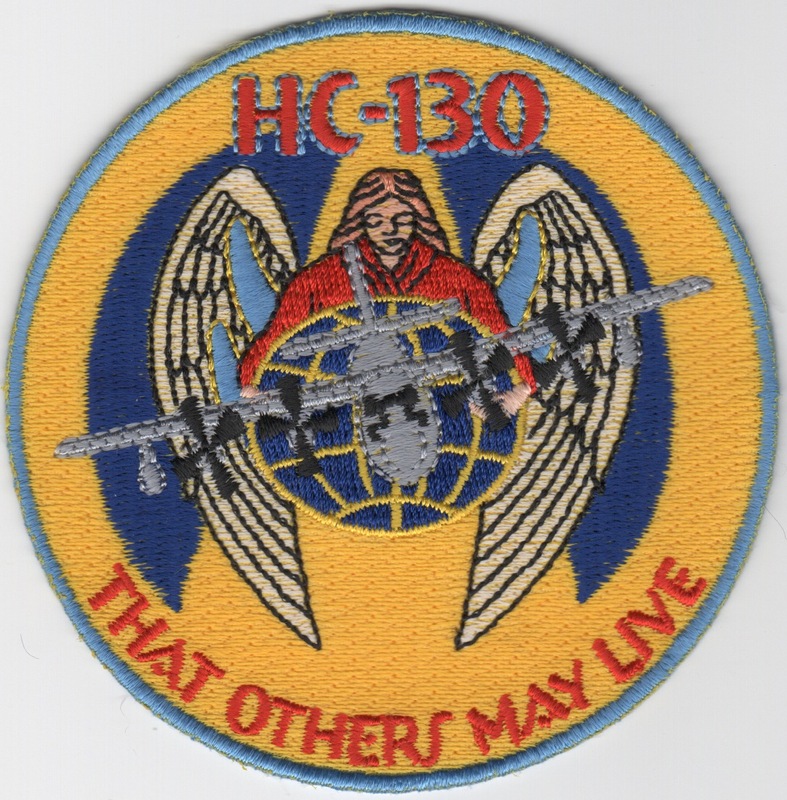 They fly the HC-130 out of Moody AFB, GA, and it says "That Others May Live" at the bottom. This is the desert version of the deployment patch for the 71st Rescue Squadron. They fly the HC-130 out of Moody AFB, GA, and it says "That Others May Live" at the bottom and has gold "metallic" threading for the wings. This is the shield version of the squadron patch for the 102nd Rescue Squadron that flew the Jolly Green helo for the NY Air National Guard. 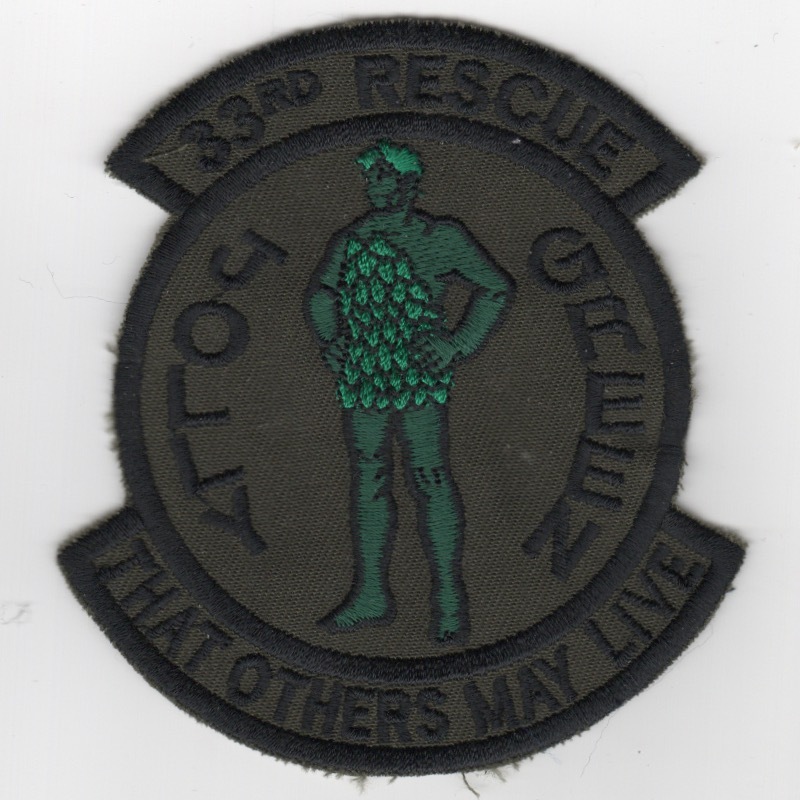 This is the green version of the squadron patch for the 103rd Pararescue Squadron and it states "We're all MAD...You know!". This patch does not come with velcro attached. 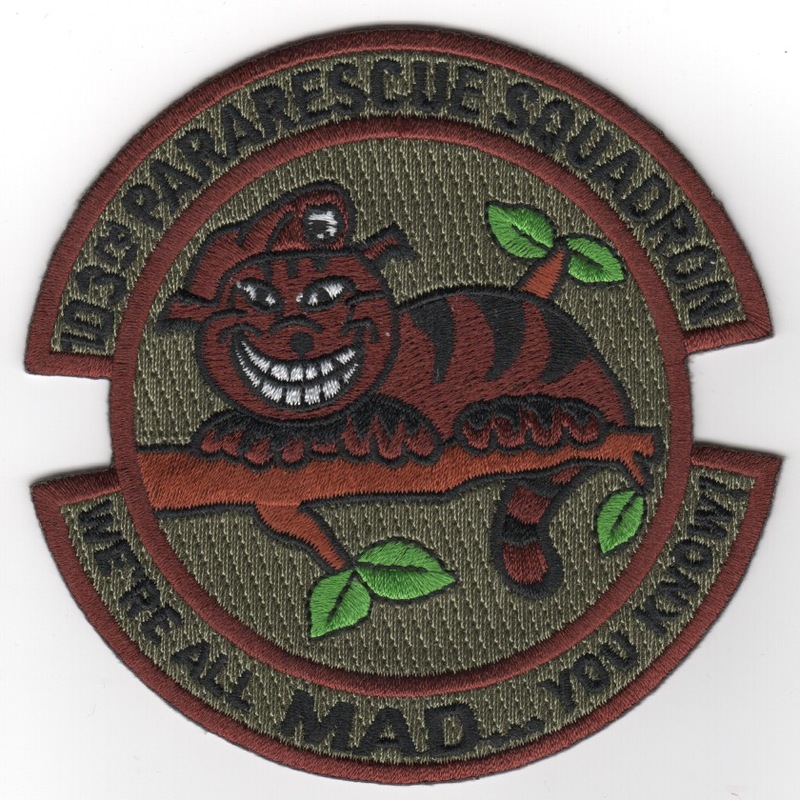 This is the subdued version of the squadron patch for the 103rd Pararescue Squadron and it states "We're all MAD...You know!". This patch does not come with velcro attached. Use this link for getting both of the 103 Pararescue patches listed above. These patches do not come with velcro attached.